Like dark chocolate covered berries-- in scone form! My husband was really wanting some scones, and I was feeling the dark chocolate berries. So, why not combine the two? 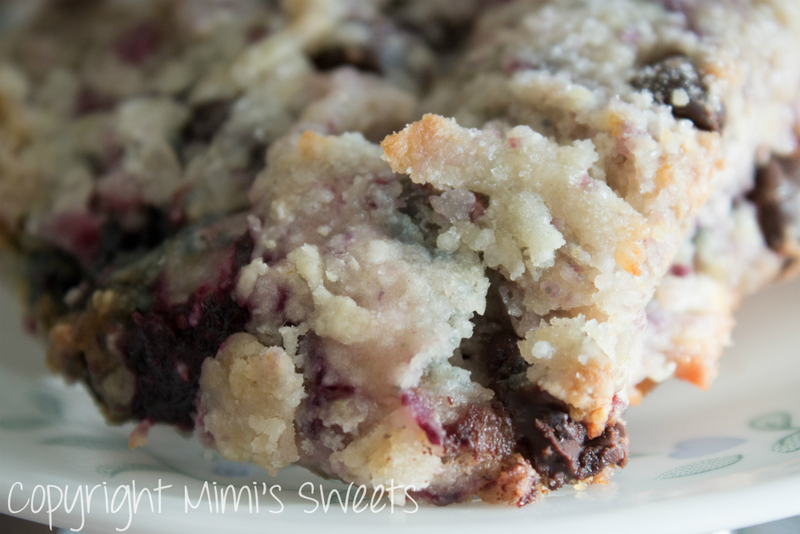 I used dark chocolate chips, raspberries, blackberries, and blueberries for these scones. 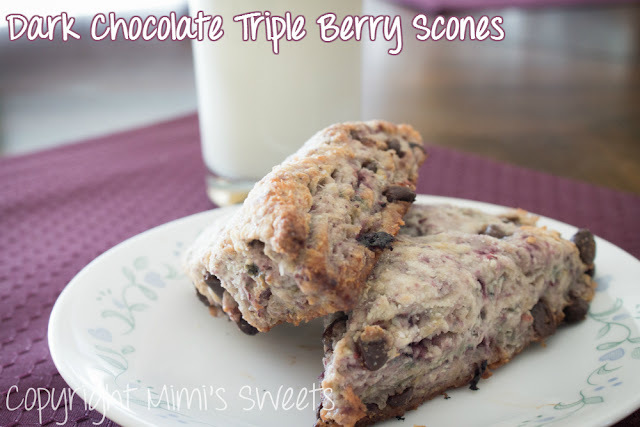 These are such great breakfast scones, and are perfect warmed up and paired with a glass of milk! They're soft, flaky, and just sweet enough to hit the spot! If you're looking for a breakfast alternative to muffins, these are a wonderful choice. If you'd like to place an order for these delightful scones, you can do so here. Don't worry, these scones can be shipped anywhere in the continental US!